More than 60 people turned out Monday night for DC Lottery’s last in a series of public meetings to assess public support for legalized internet gambling (iGaming) in DC. 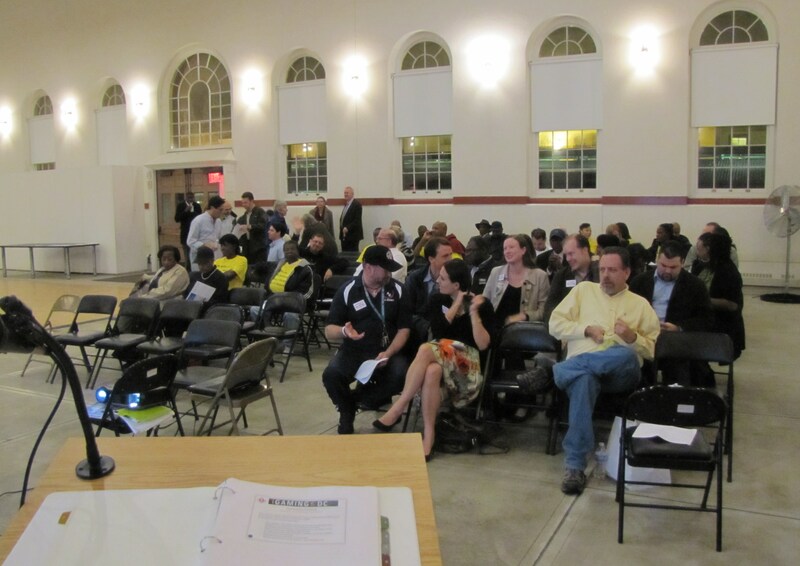 The meeting held in Eastern Market’s North Hall was hosted by DC Lottery, the sponsor of iGaming, and was attended by Councilmembers Tommy Wells and Michael Brown. iGaming typically refers to websites where players wager money on games of skill or chance such as Blackjack, Bingo, and Poker. Last December, the DC Council adopted language as part of the Budget Act that authorizes the DC Lottery to offer iGaming via the internet within the District. Councilmember Michael Brown sponsored the iGaming initiative; Councilmembers Wells and Mendelson have introduced legislation to repeal the measure. In opening remarks, Wells made clear that iGaming is gambling and said it would not result in many new jobs for the District. Stating that the Monday night meeting was not part of the Council’s process and not a substitute for a hearing, he noted that proper process was not followed by the Council in approval of the law. Wells asked for a show of hands, which revealed that Ward Six residents were a minority of those present. One Ward Six resident who attended the meeting said that all of the non-Ward Six attendees who spoke were in favor of iGaming. Councilmember Michael Brown put forward the legislation as an amendment to the Budget legislation last December, circumventing the public hearings typically required for such legislation. ANC6B Chair Neil Glick, a strong critic of the process by which the measure became law, believes, that this maneuver was “not democracy,” adding that the “last time I checked we live in a democratic society.” Glick said he would introduce a resolution opposing iGaming in DC for a vote at ANC6B’s December meeting. Though Councilmember Michael Brown has justified his support of iGaming as a means of raising badly needed revenue, critics say that Brown’s anticipated annual revenue of up to $6 million from iGaming is inflated. DC Lottery says iGaming will be available only within DC boundaries in businesses such as bars, clubs, restaurants and hotels, but not in public buildings like schools, libraries, or federal buildings.